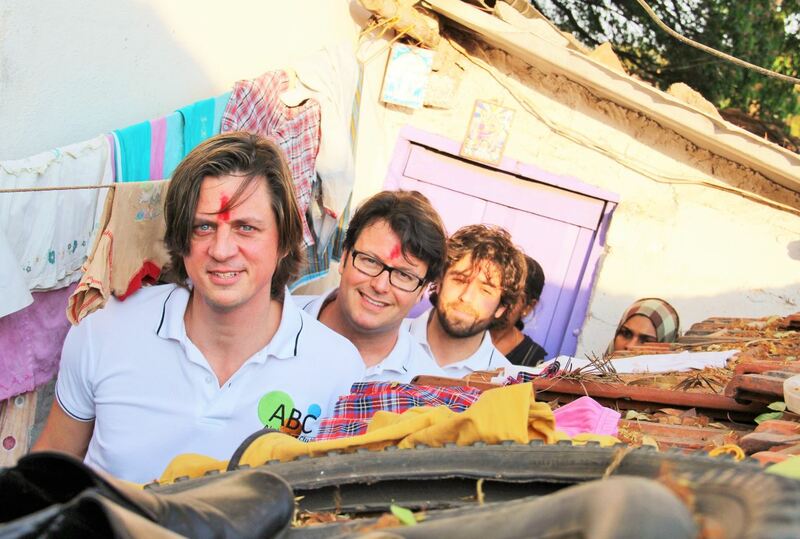 Giles Bones is an AlphaBet Club (ABC) volunteer in Madrid, and is also member of the ABC Global Content Team, and has been closely associated with ABC since it began in 2006. Back in 2006, around the same time as the AlphaBet Club was born, I coincidentally took my first steps in India, backpacking around the north, and discovered this vast, amazing and eye-opener of a country, with its generous and kind-hearted people, incredible (and at times shocking) sights and smells, and with its rich spicy food. 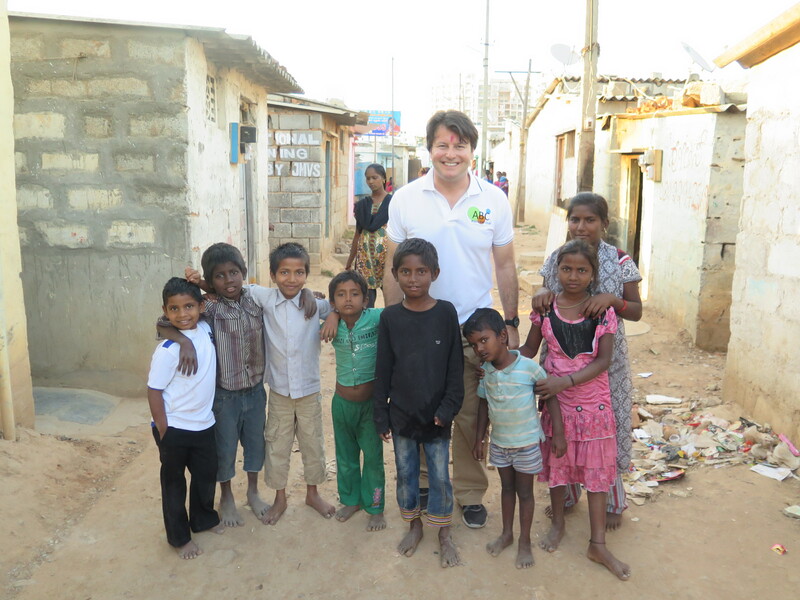 At the same time I discovered the complicated and harsh realities of poverty-stricken developing India, with a very complicated social and political structure, set deep in tradition, and with important religious implications at play in all aspects of life. 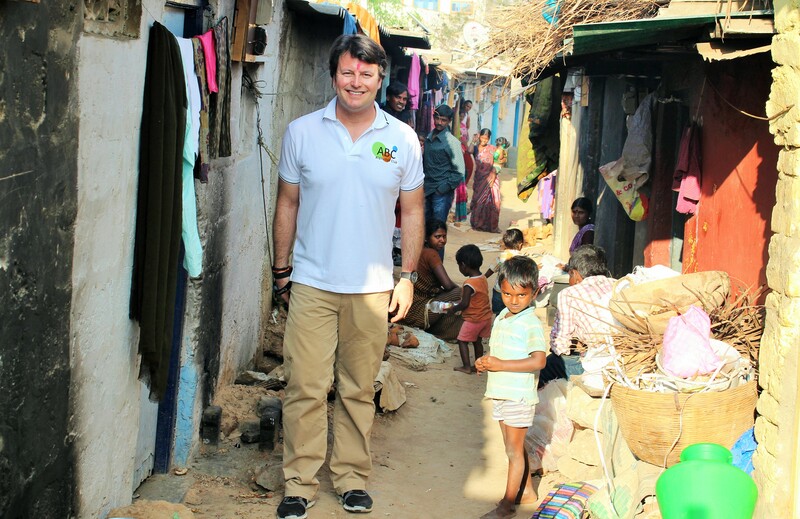 In a country of close to 1.3 billion people, all problems are multiplied by millions, and while in all countries there are extremes, in India there are extremes within extremes, and poverty within poverty, and that is what makes it so much more vulnerable and a country where so much is needed to be done. 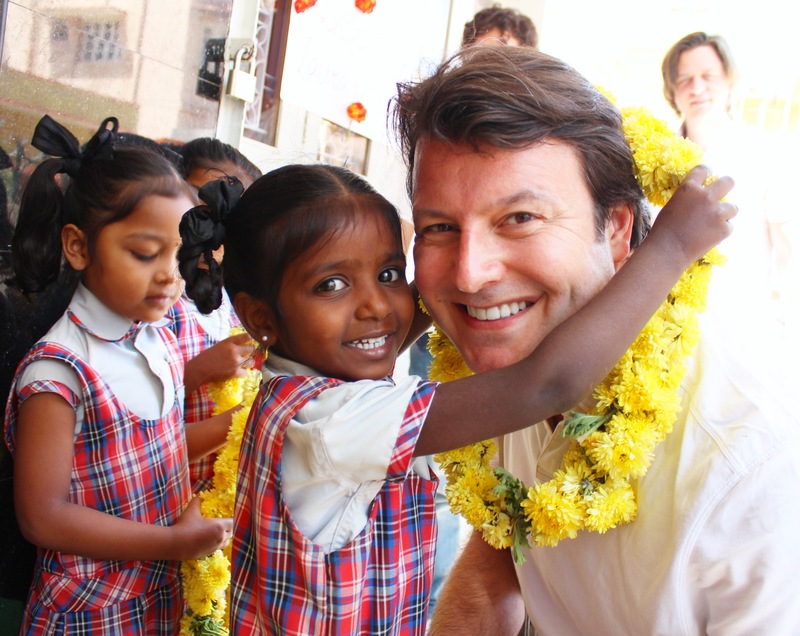 I came back from that first trip, shocked, truly affected and pensive, but know I somehow needed India in my life but not quite sure how or when. Jump forward 8 years to March 2014 and I find myself in Bangalore, excited and anxious to visit the AlphaBet Club schools and see first-hand the impact that 8 years of hard work by many, and the generosity of so many others who attend and support the charity’s fund-raising events and initiatives, have actually created and achieved.This trip had been a long time in the making, and despite wishing it many times over, I could never seem to make it happen, but knew deep down knew that until I visited I would never really understand the project fully and the realities of all those children that ABC has been helping and educating over the years, and I wouldn’t be in a proper position to be able to communicate it fully to others. I needed to feel and live the project, not just see more photos or read more about it. 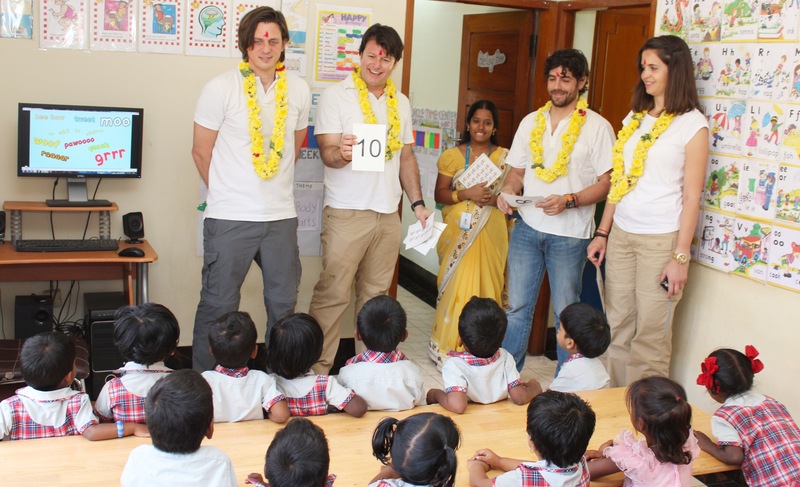 I don’t think I will ever forget the sweet little smiley faces that were there to greet me and fellow ABC volunteers Diego and Laura and founder Troy, each with a garland of flowers to welcome us into both Edelweiss and Freesia schools. It was a feeling of warmth, happiness, love and peace that they transmitted on each of our visits, and it was a beautiful sensation to be on the receiving end of. Having then been greeted by the teachers all in their bright-coloured Saris, we went from classroom to classroom to the pupils’ welcome of “Morning Sir, Morning Miss”, and had great fun interacting with the children, playing games, asking them questions, and observing them in their English education, all with a view to enabling them to have a better start out in life, and the chance to have a brighter future. The schools were so clean, bright, full of educational posters, drawings, and fun things for the 3-5 year olds to ‘edutain’ (educate+entertain) themselves with, but what really amazed me was the happy environment that AlphaBet Club and its partners in India, Building Blocks, have created, and the kind, thoughtful and professional teachers and staff that the schools have, each one of them aware of the hard home realities all these children have, and all opening their hearts and minds to make the time these children spend at school, fun, safe, loving and educational. 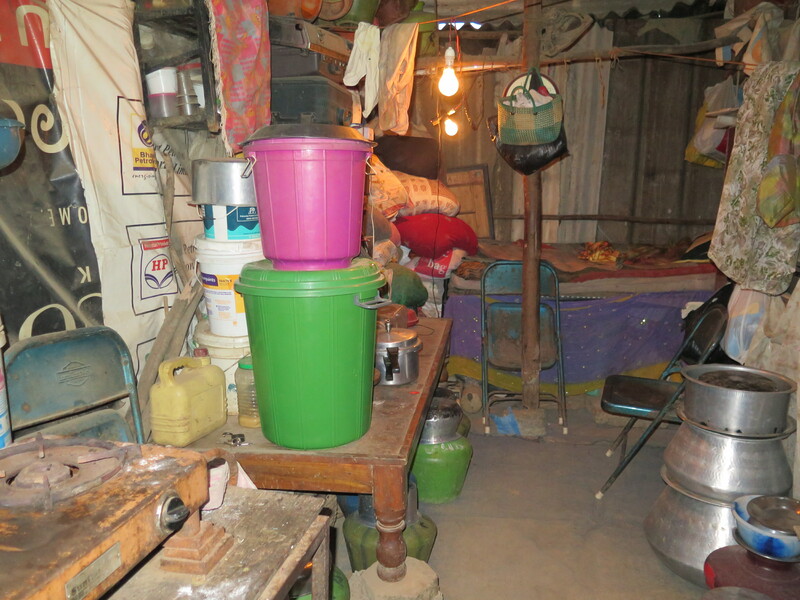 Over several intense days we went from one school to another, from one slum to another, and from meeting to meeting. We wanted to get to know every aspect of the project, see and understand all the realities and challenges that the children, their families, and the ABC and Building Blocks staff face on a daily basis… and just like Diego and Laura, I had a long list of questions I needed answers to, before I could return home satisfied. 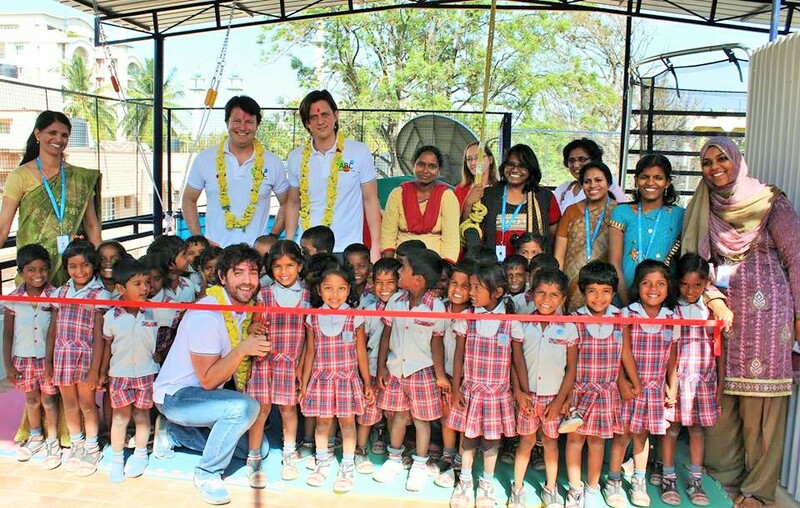 Our trip included the inauguration of the playground at Edelweiss School. To see children getting on a tricycle for the first time, or taking their first steps ever on a trampoline and learning how to balance, and playing with the multiple different slides, swings and toys was very emotional, knowing where they come from and what little they have at home where they have nothing to play with. At Freesia school we celebrated the first anniversary and it was heart-warming to be part of the celebrations, which included a Bollywood-style dance the children put on for us, and the handing-out of donated toys to each of the 100+ children, that Diego had so kindly bought with him from Spain in three suitcases. Another key part of the trip was walking around the slums, and visiting the houses, or huts I should say, that the children live in… most often than not one small room that serves as bedroom, kitchen, living room, and storeroom, most with asbestos roofing (illegal in most parts of the developed world), and with problems of rats, mosquitos and other disease-ridden insects who find their way into the mud-floored shelter they call home. 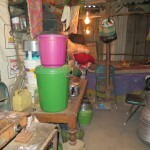 When you see this reality, and learn that the most desired objects in slum-dwellers homes is a Kerosene cooking stove that costs less than 7 euros, or a 100 litre plastic water drum costing 15 euros, and you suddenly realize that you can spend that on a drink in some swanky bar, India’s reality and the unequal world we live in really hits home. ABC’s educational and nutritional programme is a genuine transparent project that creates impact where it needs to. It is a ray of hope, a beacon of light, and an oasis of happiness in the midst of some of the most extreme living conditions on earth that I have witnessed in my life, and symbolizes salvation for some of the most vulnerable and poor children in Bangalore, the third largest city in India with approximately 9 million inhabitants, many of whom live in precarious and very unhealthy environment. 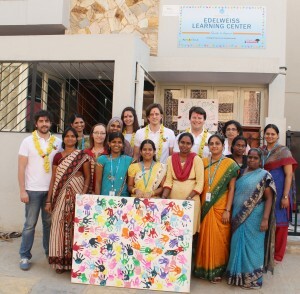 In the same way that this project would not be possible were it not for the generous support and donations made by all the people who have attended ABC events and initiatives in Madrid and Amsterdam, the educational and nutritional impact would not be possible were it not for ABC’s partner in Bangalore, Building Blocks, which is run by James Ambat and his truly professional team of teachers and other staff both on the ground in the schools, and in Building Blocks headquarters from where they coordinate and control all aspects of financial management and accounting, as well as administrative tasks to ensure the smooth running of the schools they manage, including the ABC Edelweiss and Freesia Schools. What I discovered is that ABC is much more than a non-profit organization financing and building schools in India, it is part of a larger global concern to eradicate poverty and to educate not just children but their families so the next generations have a better future, and a way out of the severe conditions that they are unfairly born into this world to, and ABC has its tentacles deep into the community of individuals and companies who want to help those less privileged and work towards a brighter future for India’s poor. One of the key aspects of any charitable or non-profit organization is its financial transparency and detailed accounting procedures, as it is fundamental to make sure that every euro/dollar/pound converted into rupees is maximized and spent efficiently as well as effectively. After two days of solid in-depth meetings with Building Blocks finance and Admin teams, I can safely say that every single rupee is accounted for, every tiny little expense approved, re-approved and checked into the accounting system, and all the financial books are audited by independent auditors on a quarterly basis. 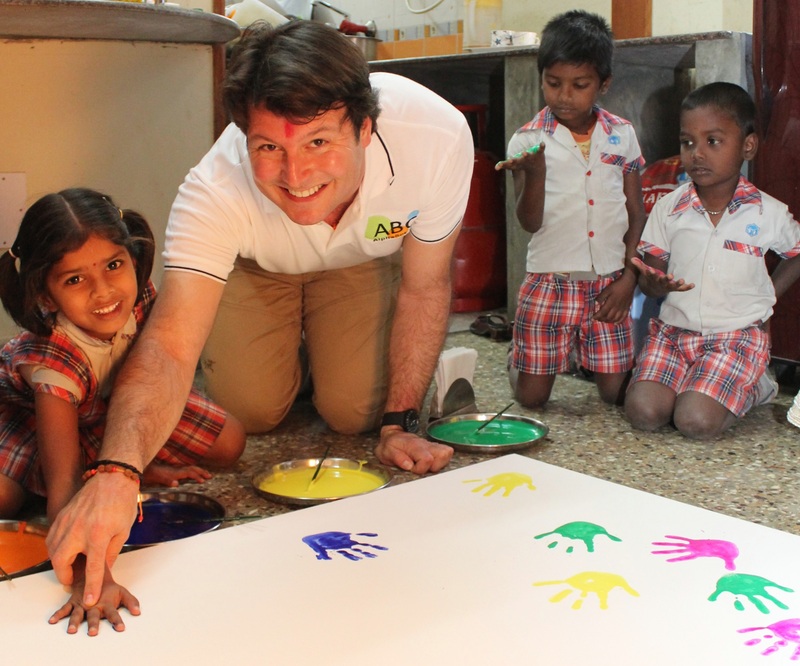 I was mind-blown and astounded by the advanced online accounting procedures that are in place for each school, and I know that every effort is made to get every cent donated to where it impacts and makes the difference that is such an important part of ABC’s mission in India. This gives huge peace of mind. 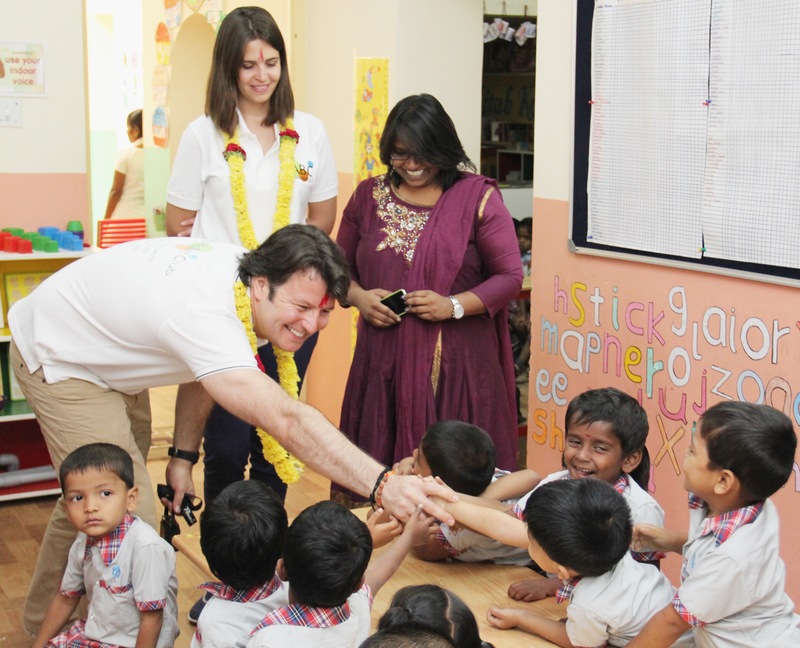 As I look back on my trip to Bangalore, and reflect on what I have seen, felt and experienced, I can truly say that AlphaBet Club is a solid project that is making a difference and making an impact where most needed, affecting positively and changing the lives of those who are fortunate enough to be educated and fed in its schools. 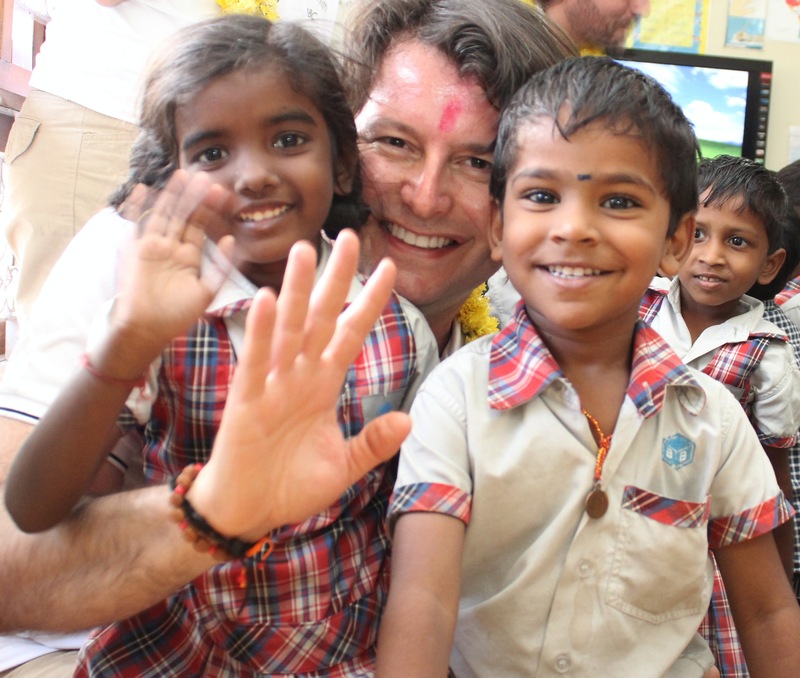 I feel privileged to be part of it and to be able to help others less fortunate than me, and I realize that there is so much more to be done, so many lives to help and all it takes is for all of us to dedicate a little time, offer our skills, or make small donations when and where we can which go a long way in India. We are truly lucky for the lives we have, and by giving back just a bit, we can make major impact and changes to the lives of others who are in a desperate situation. 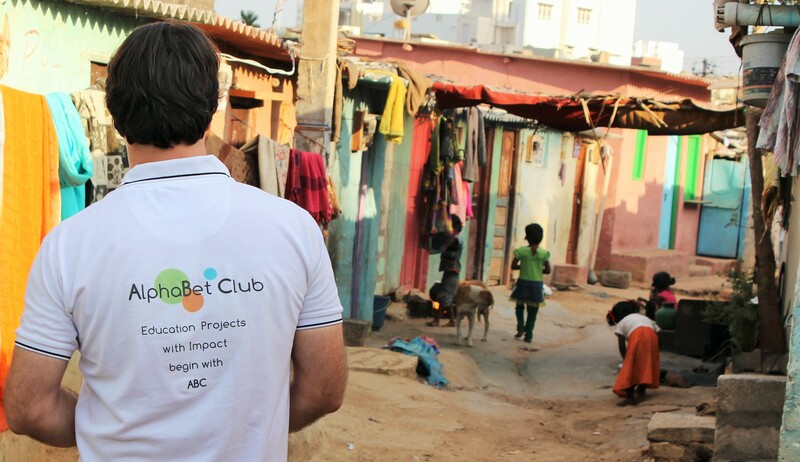 — On behalf of AlphaBet Club, we’d like to not only thank Giles for visiting India and to experience ABC School Projects first hand and later share this testimonial, but for the countless hours he’s volunteered with AlphaBet Club on our Global Content Team and for ABC Madrid team.